The Door County Civility Project is a community-based initiative that advances the cause of civility in everyday life to strengthen our shared community. Orlaine is a Wisconsin native with a BS in Secondary Education from UW-Milwaukee, 1969, and MS in Counseling and Guidance from UW-Madison, 1973. Living in Indiana for 4 years, she worked in a group home for adolescent girls in roles of school liaison and vocational counselor, younger girl house supervisor and assistant director. Returning to Fond du Lac, WI. in 1977 she became director of an AODA prevention/intervention nonprofit for adolescents for 4 years and then as a drug and alcohol counselor for 16 years. Moving to Door County Orlaine worked part-time for HELP as the Older Adult Advocate primarily focusing on prevention. 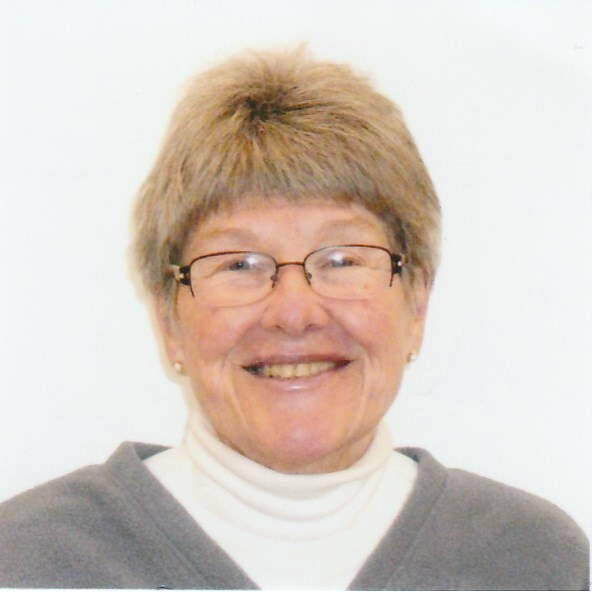 Orlaine enjoys being a Director of a Duplicate Bridge game and also teaches the game. Currently, she is a bi-monthly contributor to the “In Search of Civility” column in the Peninsula Pulse newspaper. "My last year at HELP I was working on eliminating Non Violent language when I went to a Civility training. I had seen how harmful violent language was on relationships as well as all other aspects of life. It is critical that the majority, if not all our communication, is civil in order for each individual to flourish." Mark was born in Des Moines, Iowa in 1952, raised in Highland Park, Illinois and graduated from the University of Iowa in 1975. Sturgeon Bay has been his home since the spring of 1976. He is now retired but did work in numerous capacities in automotive industries for over 30 years. He's been actively involved with various non-profit organizations and civic groups including Jaycees, Kids Vote Door County, United Way, Door County Community Foundation, Rotary, Door/Kewaunee Counties Legislative Day, Sturgeon Bay Main Street Program, and the Door County Economic Development corporation. 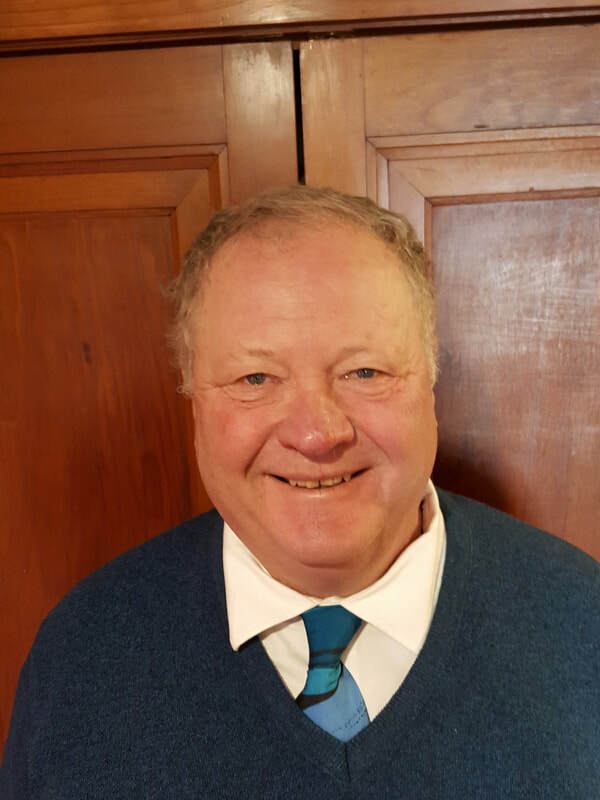 Mark has been a member of Hope United Church of Christ since 1976. Susan McAninch spent the early part of her career life in nursing, focusing on the hospice movement of the early 1980s, and then staying on as a hospice care coordinator for a total of 20 years in the hospice field. Her interest in human behavior led her to graduate school for a masters of social work degree, followed by a 16 year career as a psychotherapist. Susan and her husband, Jim, lived in Illinois for 33 years, where they raised their four children. Living in Door County since 2000, they are happy to be the destination location for those children, now grown, and for their grandchildren. Professional writing has been a thread through the years, including an award-winning co-authored guide for patients and families about pain control and articles about the joys and burdens of care giving. Susan authored a monthly “Dear Abby” advice column that was translated for a foreign magazine. Currently, she is a bi-monthly contributor to the “In Search of Civility” column in the Peninsula Pulse newspaper. but they fell in love with beautiful Door County. Besides the Door County Civility Project, Shirley has been active with the League of Women Voters of Door County, PFLAG Door County, the Door County Non-Profit Group, American Red cross, and Hope UCC. Diane Slivka became involved in the Door County Civility Project to see if there was a way to share differences and address challenges when those close to you are far away in philosophies and ideals. She found that through the tools of the “Speak Your Peace” program there is hope towards mutual recognition of our differences, and I get to share that hope with, and, learn from others in our workshops! Diane retired from the Sturgeon Bay School District after teaching elementary school for twenty-seven years. She is active in the WI Education Association Council Retired Educators and enjoys being a docent work at the Miller Art Museum. Reading is another her passions! ​"The civility we need will not come from watching our tongues, it will come from valuing our differences." Andy Starr is a Door County native who resides in Sturgeon Bay with his young family. He is the Manager of Materials Management at Door County Medical Center. School Boards. She was a consultant with the Wisconsin Department of Public Instruction and continues to do part time consulting work. She is involved in a variety of community organizations. Sue lives on the family farm in Sevastopol with her husband and six cats. 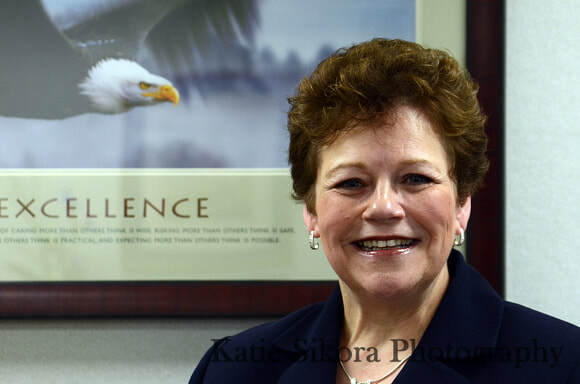 ​Patti Vickman had over 40 years of educational experience before returning to her home town to serve as Southern Door School District Superintendent. Key to her leadership has been her commitment to partnerships developed which prepare students to be college, career, and community ready. As member of the Civility Project’s steering committee, her district collaborated with the Civility Project to develop high school curriculum in civility which was recognized as one of the State Superintendent of School’s 2017 Friends of Education. The vision of the Door County Civility Project is an engaged community that values the opinions and ideas of others and is committed to civil behavior and discourse. The mission of the Door County Civility Project is to foster and incorporate the principles of civility into the fabric of everyday life. Providing the community with necessary support, resources, and tools. The Door County Civility Project, formed in the spring of 2013, is a community-based initiative to advance the cause of civility in everyday life and strengthen our shared community. In 2012 the League of Women Voters (LWV DC) noted that once again many candidates for local elected offices run “uncontested”. One of the noted reasons was that people simply don’t want to “take the guff” they saw elected officials receiving – a sign of incivility. In 2012, the Wisconsin Council of Churches promoted “The Season of Civility”. Church groups. including several local churches, conducted discussions of Parker Palmer’s book, Healing the Heart of Civility - increasing local interest in civility. In 2012 the LWV DC held seven public showings of the documentary film Patriocracy. The film focused on national issues but discussions held after each showing indicated the growing frequency of acts incivility (perceived or real) was a serious concern among attendees. This led the LWV DC to study the Civility Projects of Duluth-Superior, Truckee-Tahoe and Oshkosh, all based on the work of Dr. P.M. Forni, author of Choosing Civility and The Civility Solution. Patti Vickman, Superintendent of Southern Door Schools and LWV member, had previously worked with the Oshkosh project and helped bring their team to Door County in January, 2013. Over 40 people attended, including school leaders and leaders of non-profits, churches, businesses, etc. When participants were surveyed following the presentation, there was resounding support to initiate a Door County Civility Project. Comments referred to the epidemic problem of bullying in schools, incivility at some public meetings and personal experiences in the workplace as reasons why our community could benefit from a civility project. In May 2013 Core Planning Committee of twelve people formed and developed a mission and vision statement: “The Door County Civility Project is a community-based initiative that aims to foster and incorporate principles of civility into the fabric of everyday life in Door County. We hope to see communities full of engaged citizens who value the opinions and ideas of others and are committed to civil behavior and discourse. It’s not a campaign to end disagreements. Disagreements can lead to healthy debate, which brings new information and ideas to light. Good communication is the key! We plan to reach not only elected officials and political groups but also regular people, in schools, neighborhood organizations, service groups, churches, businesses and even the parents on the sidelines of youth athletic contests. We believe that civility can be as contagious as incivility! In July, 2013 the DCCP proudly became a fund of the Door County Community Foundation. The Core Planning Committee developed a strategic plan and budget, as well as program goals. Twenty people agreed to be part of our speaker’s bureau. As of (October, 2016 the DCCP volunteers have made introduced the Project to over 2000 individuals in over 75 groups in the public, private, non-profit, and religious sectors of Door County. 12 two-hour training sessions have been conducted around the county, including Washington Island. What we have learned from these many conversations with the people of Door County is while most consider themselves to be “civil people” and the groups they are involved with to “generally behave in a civil manner ” most also admit that they have had personal and professional experiences when they or others around them have struggled to be civil… usually when angry, frustrated or hurt. Most of these local governmental bodies, businesses, and organizations have chosen to endorse civility; not because they feel they have not been civil in the past but because they simply believe it is the right thing to do, but because it may help their groups and their constituents maintain civility when the next “contentious” situation comes along…. and it seems they always do at some point. Click below to send a message our way and become a volunteer with the Door County Civility Project.